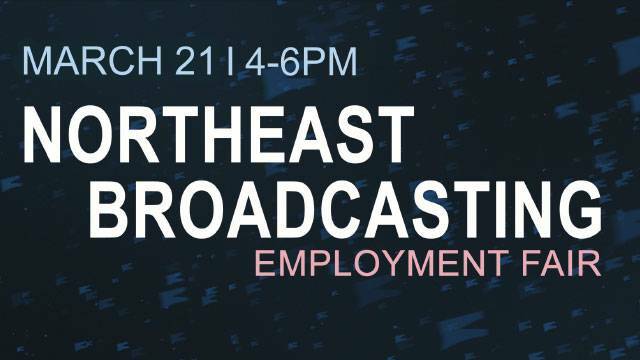 Television and radio broadcasters from our region will be available to discuss media career opportunities at the Northeast Pennsylvania Broadcasting Career Fair at the WVIA Public Media Studios in Pittston Township, PA on Monday, March 21, 2016 from 4:00 to 6:00 p.m. The event, co-sponsored by WVIA Public Media and Bold Gold Media, is open to the public at no cost. Participating broadcasters include WVIA Public Media, Bold Gold Media, Times-Shamrock Communications, Cumulus Media, WNEP-TV, WBRE-WYOU, WOLF-WSWB-WQMY, WHLM and WITK and other regional broadcasters. Employers will accept resumes for current openings and will discuss potential opportunities for future employment. Attendees with broadcasting experience as well as those interested in finding out more about the broadcasting industry are welcome to attend. The 2016 Northeast Broadcasting Employment Fair is presented by TMG Health.